I set out to make a handsome birthday card, but instead I ended up making this wreath card that I will use for an invitation. All of my local Paper Pumpkin customers are going to be invited to have tea at my house in December! I want to thank each of them for joining me in loving our monthly Paper Pumpkin kits! I used a Very Vanilla card base. I layered on a piece of Soft Suede. 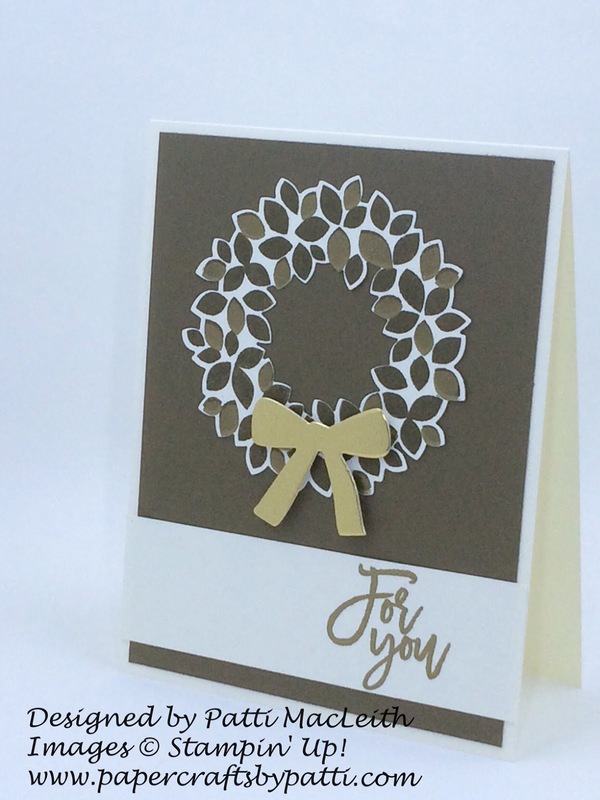 I stamped the wreath from the Wondrous Wreath photopolymer stamp set in Soft Suede and then the second layer in VersaMark, heat embossed with Gold embossing powder. 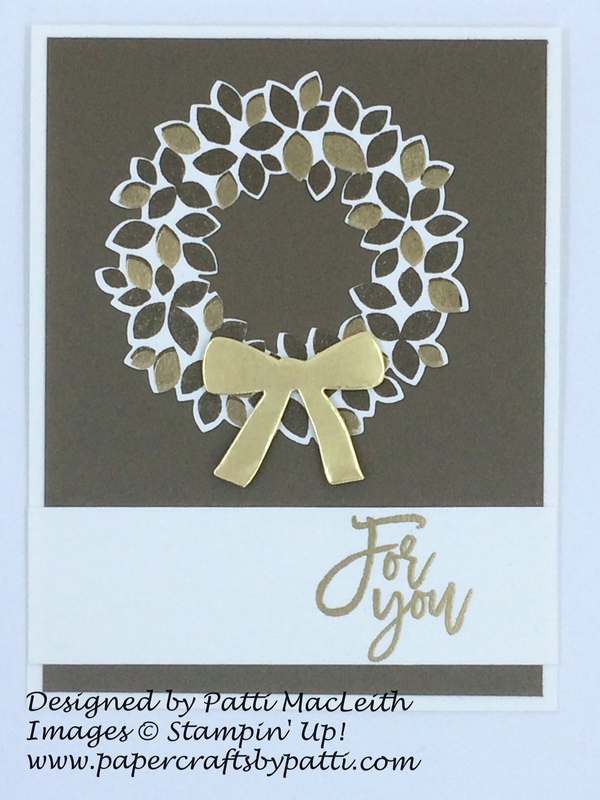 Next, I cut out the wreath and a bow using the Wonderful Wreath Framelits Dies and Gold Foil card stock. Stunning! The last thing I added was a 1-1/4" band across the bottom. I stamped "For You" from the Thoughtful Branches stamp set using VersaMark and Gold embossing powder. What do you think? I will also be making birthday cards using the same outline but a different sentiment. I think it's perfect for masculine OR feminine. I'd love to read your comments and just to know you are "out there" following along! Please use my Online Store any time you need Stampin' Up! supplies. Our Year-End clearance begins in two days!